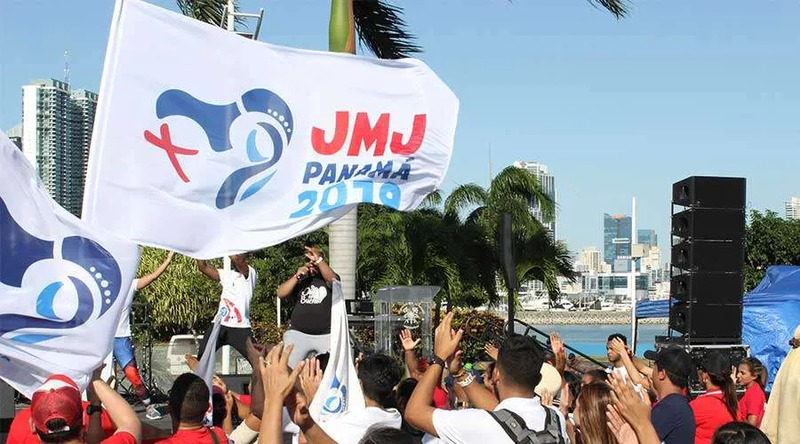 Panama City, Panama, Jan 21, 2019 / 04:31 pm (CNA).- The 15th international World Youth Day is set to begin Tuesday, Jan. 22 in Panama City, Panama. Bogotá, Colombia, Sep 7, 2017 / 03:09 pm (CNA/EWTN News).- What is likely one of the most important speeches of Pope Francis’ visit to Colombia, political processes aside, and one which can offer key insights into his thinking, is his Thursday meeting with representatives of Latin America’s bishops. Francis’ meeting with the continent-wide ecclesial body outlined not only vision for the Church in Latin America specifically, but his reflections also offer his key priorities for the universal Church. Given that he is himself Latin American, Francis obviously has strong ties to the ecclesial body, and in 2007, while Archbishop of Buenos Aires, he was charged with drafting the concluding document of their 5th General Conference in Aparecida, Brazil. That document was taken by many as a compass of-sorts for Francis’ pontificate after he was elected, and with good reason. However, far beyond Latin America and the current Vicar of Christ, himself the first-ever South American Pope, CELAM has left a much bigger mark on the universal Church. The entity, which is composed of the 22 bishops’ conferences of Latin America and the Caribbean, was established by Venerable Pius XII in 1955 as the first continent-wide bishops’ conference. The seven cardinals and 90 bishops who originally composed CELAM had met for their own conference during the Eucharistic Congress held in Rio de Janiero in 1955. The meeting was prompted by the Holy See itself, and Ven. Pius XII sent his own Cardinal legate, Adeodato Piazza, to attend the discussion. One of the main reasons for the gathering was to create a new pastoral program for the region which addressed four major topics at the time: the shortage of priests, religious education, social problems, and the plight of Amerindian population. Conclusions from the meeting were drafted and sent to Rome for approval before being published. Since then, CELAM members have met every few years to continue discussing major issues affecting the region, and theirs was a key voice on social issues during the Second Vatican Council. 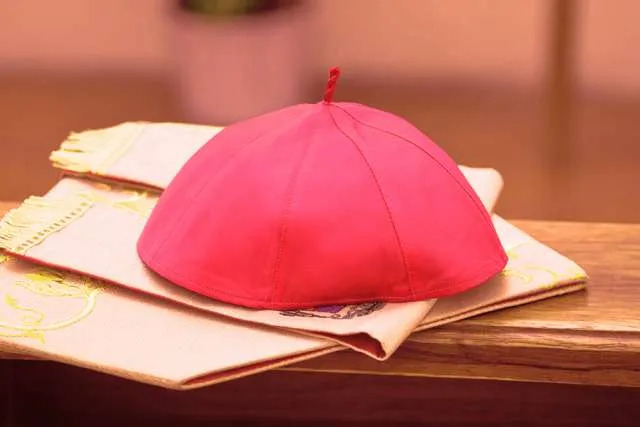 However, though it was a novelty at the time, CELAM set the stage for the eventual creation of other continent-wide bishops conferences, all of which were established after Vatican II in a bid to foster greater unity and to encourage collegiality among local Churches. 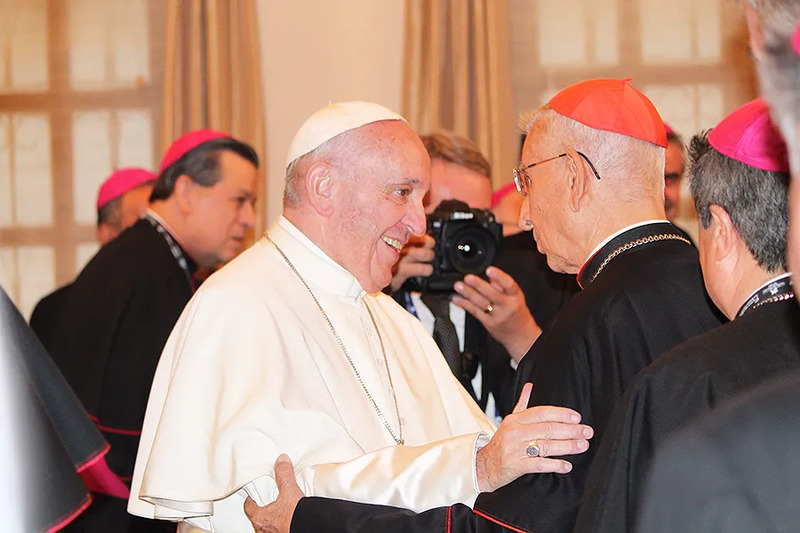 Though still active, CELAM took a step back during the 1980s and ’90s under St. John Paul II, who preferred a greater emphasis on bishops as shepherds of their local Church. The last major conference CELAM held before the 2007 gathering in Aparecida was their 4th General Conference in Santo Domingo of the Dominican Republic in 1992. However, when Benedict XVI was elected, he offered his full support and empowerment to CELAM, and personally inaugurated the 2007 gathering in Aparecida. And indeed it was during that gathering for CELAM in Aparecida that Cardinal Bergoglio would take the lead role in drafting a document that has become one of the most quoted and footnoted in his magisterial publications as Pope Francis. During his first international appointment as Pope, attending the 2013 World Youth Day in Rio de Janeiro, Francis made headlines for his vibrant style of communicating, his closeness to the people, and for dropping lines like the famous appeal for Argentine youth to get on the streets and “make a mess” with their love for Christ in spreading the Gospel. But in addition to his official WYD commitments, he also met with CELAM leaders, telling them to embrace a “missionary spirit,” and referred them back to the 2007 concluding document from Aparecida, which he said launched a continent-wide mission aimed at Christ-centered service. It also focuses on giving thanks, and the “joy of being disciples and missionaries” of God, and places a strong emphasis on the Church’s mission to evangelize. The document is read through the lens of what it means to be a “missionary disciple” and how this should be the lens through which we read reality and its current challenges, including cultural trends and threats to the family and the environment. Other topics mentioned that have come up frequently in Francis’ pontificate are: indigenous peoples, technology, the role and dignity of women, the importance of fostering community amid the diversity of the Church’s various charisms and spiritualities, interreligious dialogue, the role of the Holy Spirit, human dignity, and the need to go out of ourselves. The document also dwells on marriage, the elderly, migrants, the poor, the need for solidarity and issues of social justice, emphasizing the Beatitudes, as Francis often does, as a road-map for how the Church’s social teaching out to be lived out. “I am certain that each of you has seen how its richness has taken root in the Churches you hold in your hearts,” he said, and outlined the signs of hope found in the region. Namely, he said hope in Latin America is found primarily in the youth, in women – who “keep patiently kindling the flame of faith” – and in the laity. These are all issues brought up at some point in the Aparecida document, and which that have become familiar to the eyes of Vatican-watchers throughout the world. While the Pope certainly doesn’t shy away from these topics when conversing in other forums and with other demographics, he understandably feels more at home among his fellow Latin Americans, especially since he understands their reality so well. That being said, we can expect to continue hearing the same messages from Pope Francis even from Rome. But if there’s one thing we can take away from his audiences with CELAM, it’s that they have played a significant role in his own life and pontificate, and will undoubtedly continue to do so. If we want to keep tabs on his vision for the universal Church, his meetings with them are a good place to start. Lima, Peru, May 3, 2017 / 12:06 am (CNA/EWTN News).- In a radio interview for the Feast of St. Joseph the Worker, a cardinal from Peru discussed the sanctification of work and outlined a typical day in his own life. “How many hours does a cardinal work?” asked journalist Miguel Humberto Aguirre. “I think all of them,” replied Cardinal Juan Luis Cipriani of Lima. In his weekly Saturday radio program on station RPP April 29, Cardinal Cipriani said that his day usually starts at 5:00 a.m. and normally ends around 10 or 11 at night. He said that he gets up “early to be able to pray because there’s a moment for prayer, for the Divine Office where there won’t be phone calls or interruptions. So you try to do it first thing in the morning. Very early, I go into the chapel and many times I celebrate Mass” at that time. Then, the archbishop continued, “comes work itself, and part of the work is to be informed about what’s going on in the country and the world, that is, to read news about the Pope, things about Peru,” and other topics. At the end of the day, he said, “to relax a little bit, I watch NBA basketball.” The cardinal himself was part of Peru’s national basketball team in the 1960s. The cardinal also touched on the idea of sanctifying our work, pointing to St. Joseph as the patron in this regard. “We spend a lot of time engaged in our work, whether it’s at the office or at home. From the time we have breakfast and get ready, and then when we come back home and take care of the kids. We have to find God there,” he emphasized. The second key to sanctifying work is found in the virtues, Cardinal Cipriani said. “I sanctify myself if I do the work well, and if I do it before my Creator and my Father,” he emphasized. Mexico City, Mexico, Jan 24, 2017 / 03:21 am (CNA/EWTN News).- Following a school shooting in Monterrey, Mexico last week, the local archbishop offered his prayers and support.